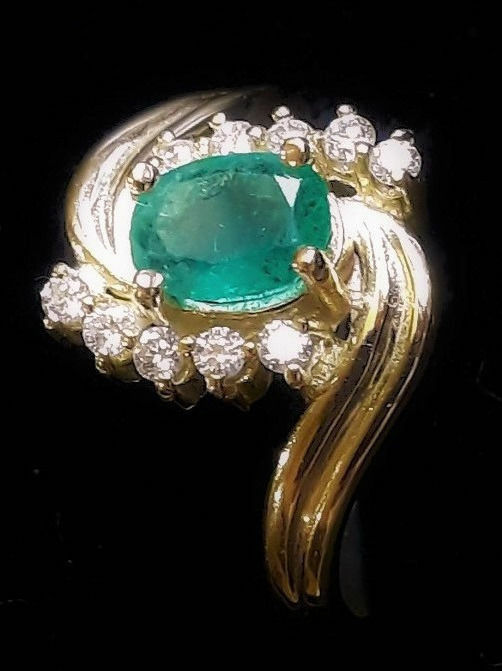 Beautiful wavy rosette in yellow gold of 4 grams with a natural emerald surrounded by 10 natural diamonds, very white and natural of good fire. It is a very elegant item of jewellery of original and classic design at the same time which will never go out of fashion. Ring front: 1.3 x 1 cm approx. 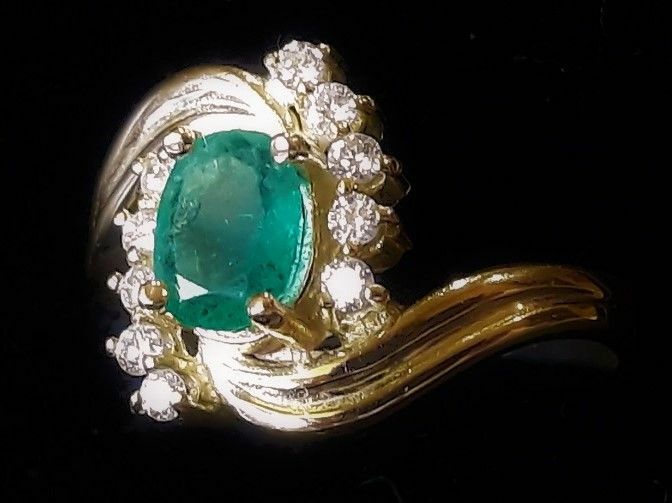 Emerald measurements: 7 x 5 mm. Carat in total: 0.45 approx. Ring condition: excellent, new condition brand new. ‘Precious stones are usually treated to improve their colour or clarity. - The photos are magnified to better see the details. Since they are photos, the colours may vary depending on the computer monitor and may differ slightly from the actual colours. In the photos, you can see that the colour and transparency of the coloured stones may vary depending on the light. The description and photos are as good as possible (photos taken with a mobile phone under both natural and artificial light). - Natural stones commonly have irregularities and a non-uniform colour, even though this may not show in the photos. Treated stones are usually more transparent and uniform. Shipped by Correos in a gift box, with tracking and insurance included in the shipping price. International shipments from Spain usually take 15 to 20 days, maybe more. 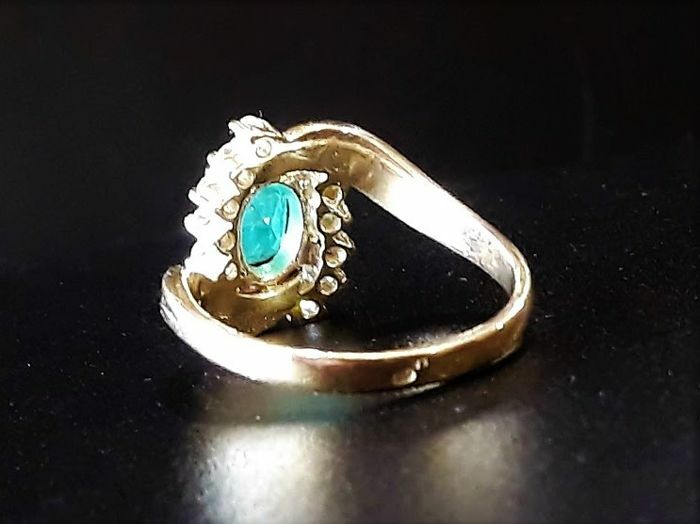 Precioso anillo. Envío muy rápido. Muchas gracias! Vânzătorul este deosebit de amabil, am comunicat perfect tot timpul pana in momentul in care coletul a ajuns la mine! Ceea ce mă face sa îl recomand cu căldura! Come descritto tranne per il fatto che non è da uomo. Un po' deluso. It looks like a ring for a child. Too little gold was used. The golden part is very flat; so has not the usual form. The stone looked bigger at the photo. Very disappointed. The dimensions and weight were indicated in the ad, you have to read the ads before bidding, I also specify that the photos are enlarged, and the rubi measures 7 x 5 mm, which is not so small. Super schönes Stück. Habe mit extrem gefreut als es heute angekommen ist. Vielen Dank, auch für die schnelle Lieferung! 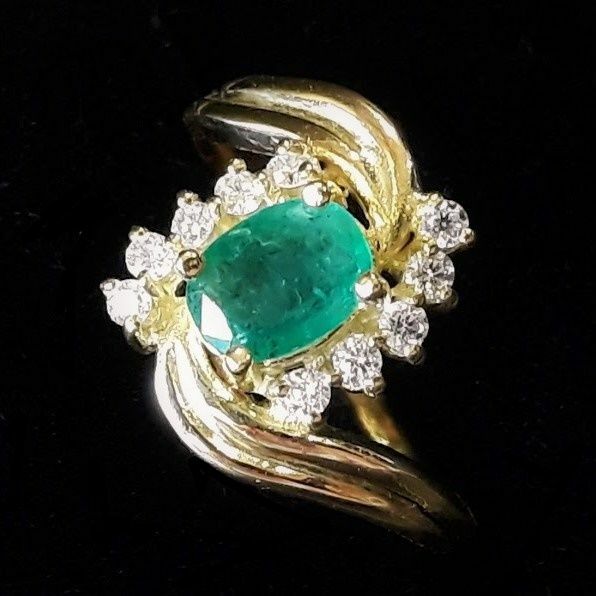 It is not true, the ring is contrasted, it is a ring made in an artisanal way and the contrast is made by hand but it is read 585, it is authentic, and it carries its holes under the diamonds, it is seen in the picture from behind that I have put Drede, how can you not see them? Received the lovely ring in good order and within a week period. It is a bit smaller than anticipated but elegant in great proportions and exciting shape. A great present for my daughter's birthday. nel mio annuncio dico che le foto sono ingrandite ma le dimensioni sono indicate, spiego anche che il colore varia a seconda della luce e del terminale. 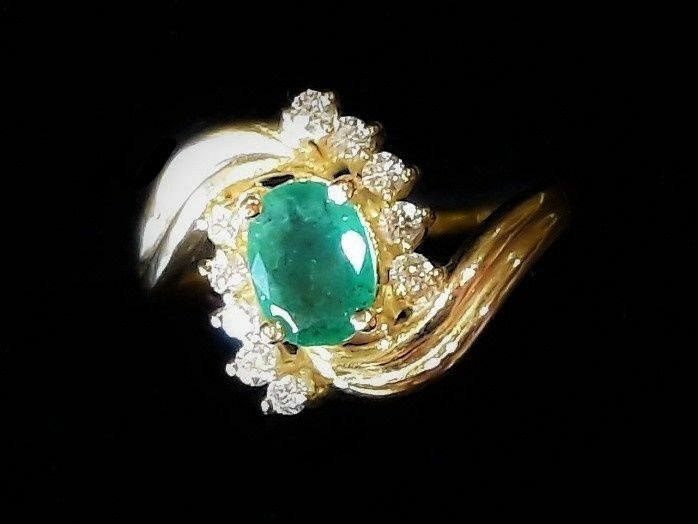 Questo anello l'ho venduto a molti e tutto molto felice. Eccellente il servizio di consegna. Deludente il prodotto acquistato. 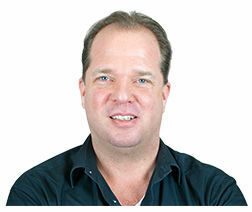 ben niet erg blij met de ring, de foto leek me aantrekkelijk maar in werkelijkheid valt de ring tegen. 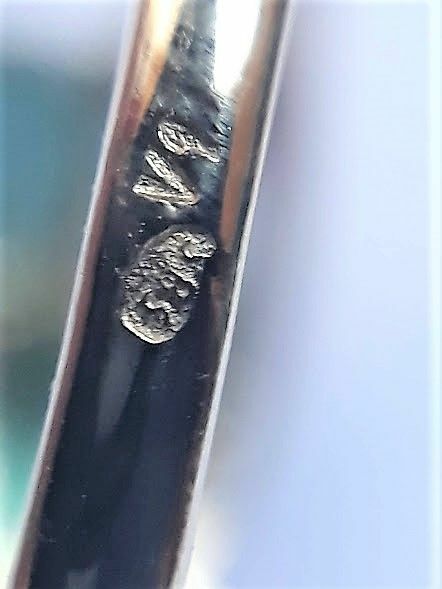 Mooie ring en snel geleverd in een leuk doosje. El anillo es precioso y el vendedor un 10.
fine jewelry, carefully sent, accompanied by a surprise. Verey Nice ring. Thank you.